This past week I taught my Cartooning class for After School Enrichment at the local elementary school. I love teaching this class, especially after last year's comment exclaimed by a third grader, "I never knew cartooning could be so much fun". Yes, that's why we do it! Thing is, I could stand up in front of these eager minds and tell them how to draw cartoons. (Heaven knows, I've bought a million cartooning books over the past 25 years that tell just that.) But, where can they go from there? A problem many artists have faced over the years: the dreaded blank piece of paper. So, I share with the group a great quote by Joseph Barbera, of Hanna-Barbera fame: "Making cartoons means very hard work at every step of the way, but creating a successful cartoon character is the hardest work." In my cartooning class, we spend about 20 minutes having a blast brainstorming every monster, fairy, animal, and human -- and then we list every outrageous adjective, adverb, action, and characteristic known to man (or elementary student). Their minds are amazing! Then, voila, we have about 500+ ideas to draw! As the kids start filling up their sketchbooks and large sheets of paper with the most creative and imaginative creatures, I share with the group about ten other secrets about cartooning. And, I can't list them here because, well, they're secrets! At our local library, I try to make a pass by the cartoon books. Most times it looks like a bomb went off with huge gaps of missing books, which leads me to believe that people are checking out nonfiction books on cartooning. Librarians, feel free to chime in on this one. Here's a few of the new cartooning books in case you might be looking for a few. Different than most "how-to" cartooning books. Starts by stating that anyone can draw --- which is so true, and is not said enough. 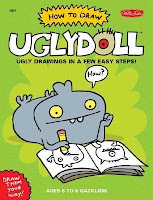 Hilarious, fun reading adventure that will inspire all to pick up a pencil and draw "stuff". Well-organized book with plenty of things to draw! 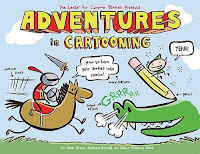 Anyone have a favorite cartooning book? *Note: I only listed books published within the past year or two for elementary grade students. Maybe a post on Middle Grade and YA cartooning books is in order! When I was 21, I took a tour of Belize and Guatemala in rickety bus with 14 random strangers who would have been great characters for a Broadway play. There was the lady who thought she’d been bitten by a vampire bat and ran off to find a local shaman. There was the British Imperialist magazine writer who who wanted to buy a pig and stake it out so we could attract a jaguar. There was the tour guide who abandoned us so he could rescue a tapir from a well. Oh, and let’s not forget the matronly lady with the inescapable grinding voice who complained about every single thing. But there was this couple—a friendly couple. The man had powers. He could find animals. Anywhere. He could find a speck on a hillside and it would be a toucan. His skill was almost magical. I craved it. Years later, I found his magic was a hunter skill that comes from practice, year after year. Experienced birders have it. Now, I have it, too. Someone can say, “See that warbler?” And I can often find that bird without any additional directions in about two seconds, 60 feet up in a distant tree. I can barely remember what it was like not to be able to separate the layered calls of forest birds and identify them. It seems strange to remember a time when I didn’t know the insects, the plants, the ecological layers, and how to snap to see the slightest animal movement at the corner of my eyes. My husband and I have led rain forest tours to Panama and helped others who felt just like I once did—like they’ll never see that animal everyone else is seeing. Yet this skill comes with time and practice. Another thing that comes with time and this particular career is an absurd amount of information about the natural world. At first, I had knowledge because I wrote so many books about biomes, endangered species, and environmental issues. (Okay, so I also have a biology degree from Duke.) Back then, before google, I dug through academic libraries for much of my information about taiga, tundra, acid rain, global warming, and the like. Yes, the book stuff migrated to my brain. Before that, I’d written dozens upon dozens of articles for encyclopedias, conservation newsletters, and geography texts while working at National Wildlife Federation and the National Geographic Society. Yet what came later was the slow, personal accumulation of nature experiences. I’d marvel to see the route of roots, the decay of leaves, the neon flashes of squid, the hatching of sea turtles. Often I’d think: So it really is this way! It really works like they say. Because I had already read about, and often written about, that ecological unfolding. 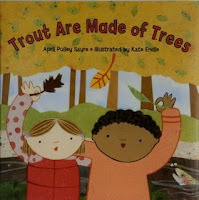 The seeds for my book Trout Are Made of Trees were planted in an ecology class at Duke. The professor discussed the leaves and the algae and fungi on the leaves as peanut butter on crackers. Lots of aquatic larvae go for the peanut butter even more than the crackers. What can I say? Food metaphors stick with me. Yet it was personal experience cleaning out the skimmer in our water garden 20 years later that got me thinking about aquatic larvae again. Then, one day, the leaf/stream connection was simmering as I stood looking at the stream. The words, “Trout Are Made of Trees” came to mind and I could feel the voice of the book coming over me. What I write about, I live and breathe. Or, should I say, my husband and I live and breathe. He works at home. We stop our work and look at and discuss squirrels or birds or opossums or deer or plants or seeds about 20 times a day. That adds up over the years. Even the years when he was working outside of the home, he’d come back to a full report of home wildlife happenings and he’d have plant knowledge to share as an ecological consultant and director of a native plant nursery. And then there is the daily reading of science magazines and watching of science programs and listening to science on the radio. In case you are wondering who I was on that bus in Belize—that could-have-been-a Broadway play bus—I’ll just say I’m not above reproach. I am the gullible, adventuresome 21-year old who all alone went with three strangers (not on the tour) for a spontaneous private tour of hidden, off track rooms with jaguar etchings in the temples of Tikal in Guatemala Yes, I am the one who trekked through the jungle with these strangers who did not speak my language as the sun set and insects glowed on trees and search parties combed the forest to find me. Sorry, fellow travelers. I can only say I’ve learned a couple of things since then. I invited Sylvia Anderle to guest-blog for me this month. Sylvia has been the Children’s Latino Outreach Librarian at the Fairview Branch of the Santa Monica Public Library since 1991. Her Cuban-American background has enhanced her ability to work with the community and better understand the challenges faced by many students. The library serves a diverse population, with a large concentration of Spanish speakers and low-income families. Many of the youth in this area are considered at-risk. In 2005 Sylvia Anderle won the New York Times Librarian Award. Monday is class visit day. Between 9 – 11a.m. children in grades K –2 visit the Fairview Branch of the Santa Monica, CA Library. Most of them visit on a monthly schedule so we have a year to develop a relationship. Children love to hear stories, and folktales are frequently a wonderful way to introduce them to people and ideas from other cultures. I always try to include one folktale in each of my 20-minute presentations. I prefer using well-illustrated tales for sharing with a large group. Both boys and girls love funny stories, but they also enjoy hearing about strong characters, villains who get their comeuppance and magical happenings. I usually try to end our sessions with a beautifully illustrated nature book. There has been an explosion of this type of work in recent years bringing insects and wildlife up close and personal with minimal text. These books are universally popular, but especially so with reluctant readers (usually boys). I try to put as many of these titles out on the tables for the students to check out. They always circulate! I enjoy my monthly class visits very much, but I really love being called by an upper grade teacher who has assigned a specific topic and wants me to book share. Biography was my most recent request. I had 45 minutes to booktalk a selection of biographies that would hook a 4th grade class. Their assignment was to read the book, and prepare a presentation to the class dressed as the personality. Current sports celebrities were in demand as well as Anne Frank, Helen Keller and the big favorite, especially among the boys, Harry Houdini. Try as I might, I was not successful in selling some lesser-known but fascinating personalities. The kids were jazzed as I booktalked, but the final selections were sadly conventional. Finding books that engage older students who are not reading at grade level is one of my biggest challenges. By 4th grade students are expected to function at a certain level and they see themselves as “big kids.” Unfortunately, many biographies of 100 pages or more are beyond many of our English language learners. Once a month I host a Homeschoolers Book Club. I assign a topic for each meeting and the kids are free to read a book and share it with the group. Over the years, I have found non-fiction to be the genre of choice. Homeschoolers seem to devour information books of all kinds, from trivia to science, geography, history, and biography. And, because they are free to follow their interests, they enjoy delving into more details than traditionally educated children. Judging by the group I see, they are able to read at a higher level and seem less bound by peer pressure to stick with the familiar. It is a group I always enjoy. Finally, poetry is something I try to include as much as possible with class visits. Be it nursery or traditional poetry, rhyme is always welcome with young readers. During April, we invite students to learn or write a poem of their own, and share it with library staff. The reward is a free book. Our poetry collection is in high demand especially during this time. Nonfiction is alive a well at the public library! It is exciting to see how technology is enhancing book illustration and how current authors and publishers are actively expanding the concept of children’s nonfiction. I’ve been an apprentice in a fifth grade classroom for three weeks now. So far, there has not been a nonfiction book in sight. I don’t anticipate the next three weeks will be any different. As my understanding of the demanding schedule and curriculum requirements imposed by the district increases, so does my sense of the problem. The students are currently completing a unit on realistic fiction. That means they are reading realistic fiction in their reading groups, writing their own realistic fiction stories in writing workshop and borrowing realistic fiction during their weekly visit to the school library. In other words, immersion as an educational approach. While I can certainly see the value in this, I’m naturally drawn to what this leaves out. The school day is jam-packed and there is rarely any time for kids to just pull out a book and read. Half an hour of reading for homework is standard but, yet again, free choice within the boundaries of the literary unit. Is the average kid going to pick up a different kind of book during the week and do additional reading? I think we all know the answer to that. Reaching for a good book of one’s choice. It’s so very personal and essential to foster a love of reading. We all know that kids love nonfiction and that, if given the choice, a kid will often choose it over fiction. Right now, in fifth grade, kids are getting their daily dose of nonfiction by studying reading comprehension passages for standardized tests. It seems like it’s come to this. Do we try, once again, to overhaul the imperfect system? How many voices can be heard? Difficult questions, to say the least. While we mull them over, I’m going to start small. But I’m definitely going to start. I don’t think I could teach any other way. I’ll report back. Whether or not that particular commodity can be purchased at any price will not be the subject of this post, although you may wish to pursue it elsewhere. Since the 1989 publication of my second book, If You Made a Million, I have seen countless examples of student writing that begin with the prompt, “If I had a million dollars…” They fall into three categories of roughly equal size. I’ll call the them "fulfillment,” "greed" and "charity." I would guess that Alexandra’s life would be improved by the arrival of a pet and a book. If I could be the genie in the oil lamp, I would grant Alexandra her two modest wishes. Other children have wished for clothing, toys, trips, tickets to concerts or sporting events, their favorite foods, even — sadly —heat for their homes. Some of the cravings enter the realm of the luxurious — a swimming pool, for instance, in Opelika, Alabama. But considering the summertime heat and humidity of Alabama, I would say the swimming pool could help improve the yearner’s life (or at least comfort). With a million in spending money, some combine greed with philanthropy. One standout example came from the writer who wanted to buy a big dinner for everyone in his school and then use any money left over to buy himself a horse, twelve dogs and a Ferrari. It might be worth pointing out that many items on the kids’ wish lists, such as Disney World, would knock you back more than a million. And even with an unlimited budget, not everything in the world is for sale. The State of Florida would be on that list (though some political observers might disagree!). Of course with a little guidance, these exercises can be mathematical as well as literary. Like something out of Math Curse, the math problems should flow like liquid dollars from the spending pumps of these students. Every time I read “If I had a million dollars, I would buy a million X,” I wonder if anyone asked the child how much each X would cost if you could buy a million for a million dollars. If they cannot come to see the unit cost as $1, an important prospective math lesson has been missed. One 4th grade class used a million-dollar spending spree as the basis of a subtraction activity in which each child was issued a checkbook with a balance of $1,000,000. Finding real prices of items advertised in magazines and newspapers (no houses allowed and no more than one car), they had to spend their way down to $0, showing the math each step of the way. The kids were surprised to see how long it took them to dump that much money. In writing a biography, persistence aided by nosiness is a requirement. As collaborators, one of the qualities Sandra Jordan and I share is curiosity about the lives of others. When we discuss ideas for subjects for our biographies, we always ask ourselves, “What is their story?” More often than not, the artist’s childhood experiences are reflected in the art she/he makes as an adult. The sculptor Richard Serra at age four witnessed the launching of a tanker, and the angle of the ship’s prow formed a lasting impression, one that is evident in his looming metal sculptures today. The stories artists told us inspired us to move from books about learning to look at twentieth century art to books that dealt with the life and art of individual artists, such as Chuck Close, Louise Bourgeois, Andy Warhol, Christo and Jeanne-Claude and others. Sandra talked about some of the ways we research, ferreting out new material, last month. Despite all the catalogues we read, interviews, visits to artists’ homes, studios, and museums that exhibit their works, there is so much more we need to discover. What motivated them? What made them unique? We had to examine their successes and failures, as well as their sometimes difficult personalities. Some of these talented people led messy lives. There is no correlation between being a good painter or writer or dancer and being a good person. As biographers, we must decide whether to make judgments or stick to the facts. We try to tell the truth up to a point as nonjudgmentally as we can because our focus is on the art. We tell details of the artists’ lives if they informed the work or shaped their personalities. For example, Jackson Pollock’s best work was done when he was sober; yet alcoholism led to a decline in his work and his eventual death. In Action Jackson, which was geared for younger readers, we focused on the creative process, describing how Pollock made one painting from start to finish. The book was nonfiction but not a biography. Therefore there was no reason to talk about his personal problems in the text, although we there is a reference in a short bio in the back matter. We don’t shy away from controversial material in full length biographies. In Andy Warhol: Prince of POP, geared for young adults, his homosexuality and involvement in the 60’s drug culture impacted his life, as well as his art. But his innovative work and influence in artmaking, films, books, and advertising were our focus. The anecdotal material of his full life was amusing, poignant, and always fascinating. Another consideration is how much do children at age eight or above know? In our next book Ballet for Martha: Making Appalachian Spring (Fall, 2010), we made a number of school visits to share the text and ask questions to find out what dance, art, or music terms young readers know. We could then return to the study, revising and refining, based on what we learned. It was also fun to see what students responded to in showing the illustrations and reading the story of this celebrated collaboration between Martha Graham, Isamu Noguchi and Aaron Copland. The details that delight children, delight us as adults. But in writing non-fiction, especially a biography, the goal is to get beyond the details, to dig beneath the surface, thus obtaining a fuller view of the person’s life. We gain so much more by setting ourselves aside and inhabiting someone else’s skin for awhile. We expand our view of ourselves. We feel better in the company of Martha Graham, Andy Warhol, and Christo and Jeanne-Claude, because they struggled with same human problems we all do; yet in spite of difficult times, they worked hard, cared about their art, and managed to say something fresh and meaningful about our culture. They never gave up! When nonfiction writers get to the caption-writing portion of the text, we are usually in the thick of the production process—final selection of images, moving things around, paying the closest attention to any conceptual issues that might have snuck past our eyes so we can fix them before it’s too late—there’s a lot to stay on top of. And then, right at that moment when most things are being finalized, it is time to draft the captions. If approached with renewed energy, instead of a task to check off at a time when things are hectic, caption writing is an extra opportunity to look at your story with a whole new set of fresh eyes. One thing I like to do when looking through galley pass pages, is try to see the book from a totally visual perspective—not my innate strength. Since it is a conscious effort for me, not so much a natural one, I have taught myself to really SEE the pages. What story am I telling to the reader who is only first flipping through the book and not yet reading the text? Am I pulling them in? Are the images conveying the feeling I want? Is each spread balanced in its visual storytelling? Are my main points and tone coming across for each chapter—and are the chapters flowing together as a satisfying whole? It’s in the caption writing that I often realize that an image might be necessary, unnecessary, or misplaced. And it’s in the caption writing that I transition from having a general sense that I want a particular image in my book to knowing more concretely and specifically what I want to say about the image and how it relates to the text. I just completed this stage with The Good, the Bad, and the Barbie. It is an extremely gratifying process because, like a painter, what you are really doing is adding an additional layer of texture. It was fun to make new choices, discuss with my editor what we might want to reshoot in a few instances, and start to add those finishing touches to the project. And what you say about the images you choose can really give your readers those “A-Ha!” moments. You know what points excite you about your topic—they are the ones you describe to someone who asks you about what you’re writing, those nuggets that capture the essence of the whole book. And captions provide a captivating (sorry, couldn’t resist) opportunity to make sure those points are encapsulated (whoops, there I go again) and easy to find at first glance. How do artists go about envisioning the natural world for their books? This month’s post again features some of my colleagues from the Picture Book Artists Association. To read the previous related post, please click here. 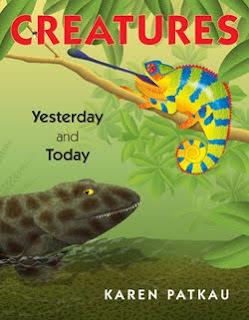 Author-illustrator Karen Patkau’s Creatures Yesterday and Today pairs prehistoric animals with their modern descendants. For a view of a spread that shows the vibrant artwork, visit Karen’s web site. As can be true of many ideas, it was easier said than done. She found that it became more like “The History of LIfe on Earth in 32 Pages”... a challenge indeed. For example, soft-bodied jellyfish did not much fossil evidence behind, so it was hard to find a reliable specimen to include (she chose Rhizostomites.) She consulted experts, who didn’t agree about whether Anomalocaris was truly a crustacean, which forced her to find a different animal. Other issues that arose included how to render the scales, feathers, or fur that a critter may have worn. Karen asks, “Did saber-toothed cat Smilodon have striped or spotted fur for camouflage? Did ‘terror bird’ Phorusrhacos blend in with the background or sport colorful plumage to attract a mate? Decisions to portray animal coverings in a certain way were a blend of research, common sense, and artistic license.” The settings were important, too, which required an education in paleobotany. Readers will certainly enjoy seeing how ancient creatures match up with their living relatives. Speaking of Anomalocaris... crustacean or not, it makes an appearance in a recently-finished book of mine. Like Karen, I immersed myself in the prehistoric world for this project, digging through numerous resources to find just the right species to fit into the sequence of events. For example, here is an in-depth site about the “anomalous shrimp” by biologist Sam Gon lll, complete with the body plans of several species of this giant-for-its-time predator. My Teacher is a Dinosaur begins about 4.5 billions years ago with the formation of Earth, so there was quite a bit of ground to cover. To be released next fall, I’ll chat more about the book in a future post. 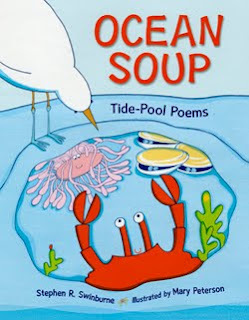 Ocean Soup: Tide Pool Poems was written by Stephen R. Swinburne and illustrated by Mary Peterson. 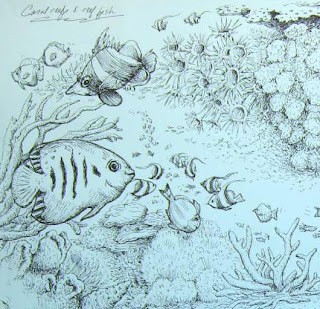 She says, “Before I began illustrating, I visited every tide pool between Santa Barbara and San Diego. I needed to feel like I knew the habitat as well as my own living room. It’s a mysterious ecosystem and a rough one, so these creatures are strong, adaptive and clever, especially at hiding.” She dodged high tides, endured cold, wet weather, and climbed over slippery rocks while being careful not to step on her models. Reference photos and online resources were helpful, but she found that her on-location sketches were the most useful. The book has fictional elements such as singing and dancing, which can be especially difficult to depict for animals without legs, arms, or eyes. She aimed to give the characters a degree of personality to suit the poems. Another consideration was the “gruesome factor” such as a crab that snips off a starfish’s arm in one poem. That kind of everyday fact of tide pool life is a challenge to illustrate for grades 1–3 without being gross, she explains. Lastly, here is a glimpse of a work in progress written and illustrated by Stephen Aitken. This is a detail of a sketch for one of a 6-book series on climate change; Fever in the Oceans will explore the impact of climate change on the marine environment. The entire sketch plus several others with dolphins, sharks, whales, and more can be seen on Stephen’s blog. The sketch was drawn with pen and ink, then further developed in Adobe Photoshop and Corel Painter. Though it has no color yet, the artwork already promises to both attractive and effective in addressing such an important topic. The books are scheduled to be released in the fall of 2011 by ABDO Publishing. While putting in very long hours to research and illustrate the prehistoric life in my own project, one thought kept occurring to me... although it was a lot of work to create the artwork depicting these animals, it was also a great privilege to be able to do so. I’m certain that my fellow artists feel the same way. So, back in the last years of the 19th and the first few years of the 20th century, when Susan B. Anthony was still among the living, she was known as 'Aunt Susan' to her many friends, fans and fellow comrades in the ongoing struggle to pry the Vote out of Uncle Sam's clenched fist. Some of them well knew that today, the 15th of February, was the anniversary of the day when, out in Adams, Massachusetts, Daniel and Lucy Anthony, earnest Friends, welcomed tiny Susan into their family. In their barely-imaginable future, they would have six more babies and Susan would grow up to be a steadfast warrior for Woman Suffrage as well as a steadfast friend to that radical-in-crinolines, Elizabeth Cady Stanton. And even now, 190 years later, Susan is still remembered - at least I hope so, even by such as I, who had to be reminded to write some little something and get it posted, for crying out loud. When I was working on Remember the Ladies, my big book full of historical dames, I had the privilege of visiting Rochester, New York, walking up to Miss Anthony's front door (through which she dashed many a time, hurrying off to the train station to board one of the rattling cars, off on another speechifying junket across the country), and go inside her house. It's an experience I would recommend to anyone: Arm yourself with a bit of knowledge then go and walk where the great ones walked. Stand where they stood, whether that place be a marble hallway, a long-preserved cabin, or Aunt Susan's parlor - and think on their struggles that went to make your world possible. I teach at Lesley University’s low-residency MFA in Creative Writing Program (such a mouthful, I will end this sentence right there). And while I was last on campus, a colleague told me how much she enjoyed reading my book Skyscraper, which followed the building of a NY skyscraper from the ground up. More importantly, she told me how much her son loves it too. I enjoyed the compliment, but also the bitter irony of telling her that it was a few copies away from going out of print. 1. Reading research is really fun, but it’s great knowing your subject up close and personal. 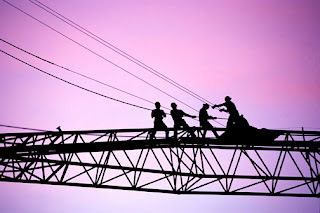 For over three years, I walked amongst backhoes and dump trucks, climbed on the steel, watched countless workers construct the building’s innards, and eventually saw it take on a life of its own. As a regular visitor to its 678-foot summit, I had the most beautiful view of Manhattan you could imagine. 4. Kids love statistics and I enjoyed figuring out how to imbue the huge numbers that accompany a skyscraper with meaning for them. It took me days to come up with the idea of converting the cubic feet of the basement/foundation into a giant swimming pool that would take over four and a half years to fill with a garden hose. 5. 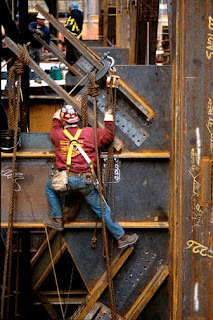 Maybe best of all, every time I got an email with an attachment from the wonderful photographer, Mike Doolittle, I knew I was in for a treat—jpgs of fabulous geometric forms of men and steel. I am under a deadline. 8 days (but who's counting?) and that includes not just working through the weekend but, I should point out, working on Valentine's Day as well. I'm wrestling with a project that has both inspired and bedeviled me from the start: fighting tooth and nail for every paragraph, leaving claw marks on the edge of my desk as I haul myself back up to the keyboard each time I topple off. Most children's book writers I know have a love-hate relationship with deadlines. When the work is going well, I appreciate the deadline as a zesty little kick-in-the-pants that keeps me on track and motivated. When the work is going poorly, the deadline looms, dark and menacing, keeping me awake at night until it becomes less painful to--alright already, enough!--go ahead and get out of bed at four in the morning to get to work. Finally, of course, I am deeply appreciative that, after all those early years of rejections, someone is waiting to see my work at all. We’ve talked a lot about our research and writing process on this blog, but I thought some of you might like the inside scoop on the submissions process. So I’ve invited Erin Deedy of Peachtree Publishers to be a guest blogger this month. Here are her thoughts on submissions. Every day, aspiring writers mail their manuscripts to us. Many wonder where exactly the manuscripts go and why it takes months to hear a response. I'm here to tell you. Step 1: USPS brings us big bins full of mail. Step 2: The mail is sorted and manuscript submissions are set aside. 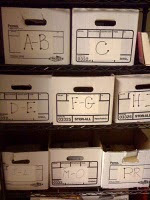 Step 3: Manuscripts are stamped with the date they were received and placed in a bin. 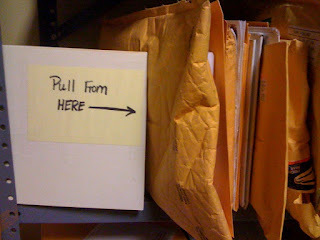 Step 4: All manuscripts are moved to the back of the office and filed with the other submissions. Step 5: Oldest manuscripts are read first. Several months worth of submissions are in front of the newest arrivals. Step 6: Promising manuscripts are passed on to a senior editor, while manuscripts that won't work for us are sent back with rejection letters. If a self addressed stamped envelope (SASE) isn't included, we send a letter and hold the manuscript for 30 days. This gives the author a chance to send an SASE to get their manuscript back. 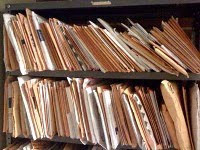 If no envelope is received, the manuscript is recycled. Step 7: Every manuscript is logged in once a letter has been sent with the author, address and title info. It's important to keep in mind that getting a rejection letter from a publisher doesn't mean that you’re a bad writer or that your manuscript isn't any good. Sometimes a submission doesn't appeal to the editor that reads it. Or it may not be a good fit for a publisher’s list. It’s important to look at a publisher’s catalog before submitting. Does your piece relate to others on their list? I often tell writers to look up publishers in Writers' Market and read submission guidelines before submitting. Knowing who you’re sending things to is very important. For example, we sometimes get submissions for Southern Fiction, because Peachtree originally published in that genre. READ! How else will you learn what vocabulary is used for a certain age group, how many pages make up a typical picture book (it's 32, by the way, including copyright page, title page, etc. ), or what books are popular right now. If you're submitting a children's picture book, I don't recommend including illustrations, because in the event that a manuscript is acquired, the publisher retains the right to choose an illustrator. If you're submitting a book for older children, don't forget a table of contents, a summery of the book, and at least three sample chapters. An editor wants to know where your story is going, but also get a sense of your writing style. Do not call constantly to check on your manuscript. Give us about six months to respond, then you may call. We know that when a manuscript is sent to us that it is important to the writer. We read every submission and give it the attention it deserves. Peachtree gets approximately 20,000 manuscripts a year, so please be patient. Have someone edit your work before sending it. Be sure that when you mail something it is a complete and final draft. When you include an SASE, make sure that you have enough postage on it and that the envelope is big enough for us to mail your manuscript back. Keep writing. If you are a writer, you will do it no matter what whether you are published or not. The more you write, the better you will get. Keep submitting. I am a firm believer in the idea that a good manuscript will always find a home. Mackin Educational Resources Becomes a Partner of INK THINK TANK. 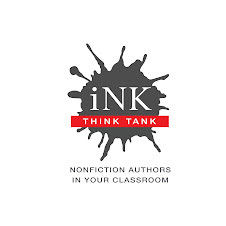 On October 7, 2009, INK THINK TANK: Nonfiction Authors in Your Classroom launched a FREE, searchable database of hundreds of in-print books written by 22 award-winning I.N.K. authors. The database is designed to produce lists of books for every grade level covering content mandated by National Education Standards and state curricula. Instead of feeding kids material from bland, uninteresting books, INK offers a cornucopia of delicious, appetizing titles guaranteed to nourish both reading and learning. No single book can be all things to all students, but the LISTS of books generated by our database will come close. We believe that if kids learn through high-interest, well-researched books that have been vetted for accuracy, they will perform better on the required assessment tests. Now our big news is that INK THINK TANK has formed a partnership with Mackin Educational Resources , a well-established educational distributor with 26 years in business. Their job will be to fulfill your book orders directly from the INK Database. Currently, if you want to buy a book from our database, we include a link to Amazon.com as a convenience. Each link produces a separate browser window and there is no way to build a shopping basket if you want to purchase all the books on a list produced by the database. This will all change when the Mackin/INK shopping basket goes live at the end of February. During this interim period, if you log in to use the database, you will be prompted to update your profile. This will please a lot of our out-of -the-country users who have told us that they can't register because there was no place to enter a foreign country. Now there is. In addition, Mackin will be featuring INK THINK TANK in its promotional materials and catalogues. All of this will help focus attention on the best in children's nonfiction and will help get it where it can do the most good--classrooms. All of us a Mackin are very excited about our new partnership with the wonderful folks at INK THINK TANK. And what a wonderful partnership it will be as we are truly in concert with one another! As the owners of Mackin, Kitty and I would like everyone to know that our dedication to education has always been on the individual teacher level. We know how important it is for educators to have great resources and to know that they can count on us to assure their value and usability. Our company mission ties right in with the thinking of the INK THINK TANK authors. We know that you and the rest of your group are dedicated to kids and learning and that your authors will do all they can to make a difference in a child's life. So as we kick off this wonderful adventure, we want you to know that we are really charged up with all that we can do and we can assure you that together we will make it happen at a higher level. The link from the database list to the Mackin pages will give buyers the opportunity to read reviews and in-depth descriptions of each book's content. If you don't need that much information to make your decisions,you can simply make your purchase with the click of a mouse. The genre of children's nonfiction is truly emerging from the shadows! Back in the 1980s, Harvard freshmen parents weekend offered me a special opportunity to see a master teacher in action. A feature of the event was the choice of attending some of the survey classes offered to students. A class taught by one of my idols, biologist Edward O. Wilson, was on the list, so I eagerly attended. I watched as Dr. Wilson, wearing a white lab coat, told the students the story of a visit to the Costa Rican rainforest as he showed slides of the trip. I found his casual travelogue interesting, but it didn't seem like a professor's lecture for beginning students. The more I listened, the more I realized that his presentation covered several basic principles of biology as he described what he saw and did in the forest. He embedded the facts so softly into his story that the students didn't realize their learning brains were on automatic pilot as they listened. Fiction writers and fiction lovers sometimes talk of the power of story as if only made-up stories can carry that power. But nonfiction contains many fabulous stories, and when told in that format, it can make the real world at least as compelling as any world conceived in imagination. Armed with my love of nonfiction story-telling, I just began teaching a class for the University of Montana Osher Lifelong Learning Institute program for people 50 years old and up. My class is full of curious students, each with ideas about what they want to write. About half of them have family stories to share, and the rest have varied interests. I am not daunted about these differing ambitions, however, as I know the basic principles of writing good stories are the same, whatever the genre. Basically, there is one fundamental requirement--keep your readers turning the page! I've found one of the best books on the subject of storytelling is "Story," by Robert McKee. His book and seminars focus on writing for the screen, but it doesn't matter. Novelists as well as screen writers attend his seminars and refer to his book. One of my new students, as a matter of fact, showed me a summary diagram in the book called "The Three Levels of Conflict" that has helped him in structuring his stories. Conflict and its resolution are at the core of any story worth reading. As soon as we find out the main character has a problem, a conflict, we want to know how it is going to be resolved, and as long as the main character is off balance and having to struggle through a series of challenges, readers stay engaged. The "main character" doesn't have to be a person. In my own work, my main character is often an animal, or even a complete ecosystem. "The Right Dog for the Job: Irah's Path from Service Dog to Guide Dog," features a Golden Retriever puppy whose life undergoes some surprising twists and turns before he becomes a successful Guide Dog for the Blind. In "When the Wolves Returned: Restoring Nature's Balance in Yellowstone," the main character is Yellowstone National Park, put out of balance during the 1920s when the top predator, the gray wolf, was killed off in the park. The book tells how returning wolves to Yellowstone during the 1990s has gradually led to restoring the natural balance in the park. It's a satisfying story with a beginning, a middle, and an end, just like any fiction. That's a great strength of much of today's nonfiction for children--it combines engrossing stories with important and interesting information about the real world, a powerful combination for learning. Last week I took a train ride from New Jersey to Washington, D.C., for a quick trip to the Library of Congress. I do it every year or so, both to collect research material for whatever project I’m working on and to gain inspiration from the librarians, archivists, and other people who inhabit this amazing institution. Since visiting this mecca of inquiry is such a valued part of my work process, I thought I’d highlight some of my favorite things about the library. 1. The librarians and archivists are extraordinarily helpful. I spend a lot of my time at the library's Prints and Photographs Division, and everyone who works there seems to have an encyclopedic knowledge of their holdings. What’s more, the staff treats every question with respect and interest, while having no end of patience with those of us who have to reacquaint ourselves with mastering the technology and the procedures for requesting material. 2. The breadth of the collections is unsurpassed. Want to watch Thomas Edison’s film of Annie Oakley shooting at targets? See Sitting Bull pose for a picture in swimming goggles? Read the “latest” news from a particular city in 1888? You can do all that and more in the library’s various reading rooms. All you need is a User Card, issued free at the library and good for two years. 3. It’s literally right next door to the Supreme Court and across the street from the Capitol. I don’t consider myself overly patriotic, but I can’t help but get a thrill when I’m a stone’s throw from the iconic buildings of our nation’s capital. Maybe it’s because as a kid, I took the requisite trip to Washington, D.C., with my parents. Maybe it's because I was a history major in college. Whatever the reason, the walk from Union Station to the Library of Congress takes me right past the centers of two of our three branches of government, and I find that awe-inspiring. 4. They have a great cafeteria. I’m a sucker for good, reasonably priced food, and the Library of Congress has a large cafeteria with a great view and a huge salad bar. Having spent many a day sequestered in libraries with no place to eat, I always appreciate the chance to take a quick break and get more sustenance than that provided by an energy bar. 5. There’s no substitute for being there. These days, people can access many of the Library of Congress’s catalogs and collections online. But visiting the hallowed halls can lead to all types of discoveries. Last week, while biding my time as someone went to retrieve a book I requested, I opened my laptop found that within the confines of the library, I could access the amazing 19th-Century U.S. Newspapers database. I spent the next two hours finding scores of useful articles from obscure newspapers that I never would have found otherwise. 6. They have great free stuff. At the desk in the Prints and Photographs Division, there are often free-for-the-taking bookmarks, postcards, and catalogs featuring items from the collection. The other day I came away with Herblock’s History, the catalog for a 2000-2001 exhibit on political cartoonist Herb Block, as well as an array of bookmarks with reprints of historical photographs (such as the one at right showing a woman assembling a B-25 bomber in 1942). 7. It’s our library! When I visit the Library of Congress, I see my taxes at work. Almost everything at the place reminds me that this is our library. The free computer printouts, the helpful attitude of the staff, the accessible cafeteria all seem designed to reinforce the fact that our tax dollars keep the library afloat. As a writer, I tend to love libraries and archives, no matter where they are, but the Library of Congress in particular feels like home. You can access the Library of Congress online here. For the Prints and Photographs Division, click here. 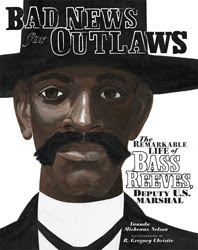 Since February is Black History Month, I thought I'd give a shout-out to author Vaunda Micheaux Nelson, who just won the Coretta Scott King Award for her book, Bad News for Outlaws: The Remarkable Life of Bass Reeves, Deputy U.S. Marshal. Reeves, born a slave in 1838, fled to Indian Territory in the 1860's and lived among several Native American tribes. In time he married and raised a large family, supporting them as a farmer before being recruited as the first African-American deputy U.S. Marshal west of the Mississippi. During his 32-year career, he apprehended more than 3,000 felons. Many were notorious, dangerous outlaws, but Reeves was not only a crack shot, but a smart and wily lawman who outwitted his opponents. "Jim Webb's luck was running muddy when Bass Reeves rode into town. Webb had stayed one jump ahead of the lawman for two years. He wasn't about to be caught now. Packing both rifle and revolver, the desperado leaped out a window of Bywaters' store. He made a break for his horse, but Reeves cut him off. "Bass hollered from the saddle of his stallion, warning Webb to give up. "Bass shook his head. He hated bloodshed, but Webb might need killing. As a deputy U.S. marshal, it was Bass's job to bring Webb in. Alive or dead." The most moving spread in the book, illustrated with great painterly style by R. Gregory Christie, shows Reeves at one of the most tragic moments of his life--when he had to arrest his own son for murder. Note the back cover, too, where Christie paints Reeves from a low angle, so that we're looking up at him. The image shows this legendary lawman standing tall and makes him look larger than life. Hooray for Vaunda Micheaux Nelson for bringing this lesser-known African-American figure to our attention with such intelligence and wit. Kids will love the action and adventure of this well-told story, which like all books about Black History should be enjoyed not just during February, but all year round. What books about African Americans are you reading? Up to now, the business of publishing has been to make creative content available through the dissemination of print, film, and other forms of recorded materials. The purchase price of the end product gives a cut to everyone involved in the production, manufacturing, distribution, and selling to the end reader (user?). Money is made because of the basic economics law of supply and demand. The greater the demand, the more copies sold and the more everyone makes. The producers of content are responsive to demand and make sure, as much as possible, to meet it successfully. Copyright laws protect the creators and producers of content against non-authorized folk stealing and selling (pirating) their products. (By the way, patents and copyrights have a limited life in protecting intellectual property. The idea is to give authors and creators a livelihood so that they can produce other works. Ultimately the protection expires and the property becomes part of the public domain, one of the principles of our free society.) It all worked quite well but I think that it will soon be the good old days. Open source is a concept that has long been around in science. Scientists have the ethic that, since there is only one nature to be discovered, the work of individual scientists should to be published for the good of all so that everyone can share and build on each other’s work. Scientists are not supposed to profit from their discoveries. 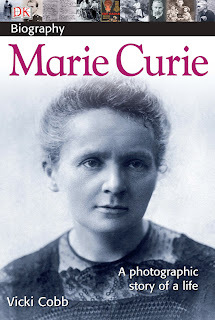 As I learned from writing the biography of Marie Curie, she and her husband had the opportunity to make money from the procedure she developed for extracting radium from uranium ore but they adhered to this principle. Others became wealthy from the process and Marie Curie, after much publicity, received a desperately needed gram of radium for her Institute through the charitable contributions of others. In recent history, open source was behind the software that was installed on the first personal computers. This meant that the software was free. More importantly, the code it was written in was available for everyone to modify as they wished. The good news was that open source led to a proliferation of successful applications. The bad news: no one was making any money. “Hey… wait a minute,” a few developers cried and suddenly some software became proprietary. As long as it was somewhat difficult and expensive to copy intellectual properties, copyright worked. But the digital revolution has changed the game. It costs nothing to produce writing, copy it and widely distribute it. Why use a publisher when you can publish yourself with the click of a mouse? It now seems as if EVERYONE out there is writing and publishing, blog, blog, blog… And we’re sharing and rewriting each others’ work. The idea behind a wiki is that everyone can put in their own two cents and remain anonymous if they wish. There are no identifiable authors, no gatekeepers; no arbiters of excellence. The zeitgeist is that all information is free. A kid’s idea of a research paper is to Google, cut, paste, and print, ta da! There’s a sense of entitlement out there. If it’s on the web, it’s ours for the taking. “Hey…wait a minute,” we writers cry. What about all that time, effort and money we spent to get us to this point where we’re really good at what we do? If something is of value, shouldn’t the world pay for it? How can we make a living if we’re not being paid a salary by some institution? The answer, my friends, is in that law of economics. When the supply is limited, the demand forces up the price. Digital publishing puts no limit on the supply so the price goes down, sometimes to zero. The price goes up, however, on analog creations. Here are some examples: theater and concert tickets, professional sporting events, live lectures by notables, one-of-a-kind originals in art and fashion by famous creators. Fame increases the value of a celebrity’s time, which is limited. What people seem willing to pay for are the live, synchronous (in real time) personal experiences with the sources of the material that grabs them. That’s why author school visits pay. That’s why author videoconferencing will pay. And that’s why we’re writing this blog for free. I got a great question during one of my school talks recently—one that I’d never heard before and that made me think. We were discussing my book George vs. George: The American Revolution as Seen from Both Sides, and the student wanted to know why I drew so many graphic pictures. Nope, he didn’t mean to ask why I sometimes use a graphic novel format or why graphic design is a big ingredient in my page layouts. He was talking about some graphic war scenes from the book that are pretty up-close-and- personal—and in one case shows some blood in the snow. Yikes! I guess we walk a pretty fine line when we present violent episodes from history to grades 4-7 in a picture book format! Then I reminded myself that every kid has to memorize the names and locations of America’s major battles as dictated by the curriculum. (Think Gettysburg or Lexington and Concord.) But these battles must seem totally abstract to students when they come from a textbook. If good illustrators can use just the right kind of pictures, we can help make these famously difficult battles come to life. Besides, maybe kids learn even more from the paintings than they do from the words….if they see that war is real and has terrible consequences, and if they see that the soldiers fighting these battles are real people too, then who knows? They might even think of better ways to deal with difficult circumstances in the future. Nonfiction Illustrators don’t have to portray gratuitous violence or overly gory scenes. There are more artistic ways to get the point across with honesty and accuracy, and that’s what I’ve tried very hard to do. All day long, any kid who’s into it can watch the news on TV without getting in trouble. The news is today’s nonfiction in action, and television uses graphic pictures by the ton. But nobody tries to hide the pictures away even though they can be pretty scary. In fact, not only do images like these show us what’s going on all over the world, but sometimes they can make good things happen! For example, when we see graphic pictures of the earthquake victims in Haiti, we realize that these are real people in trouble and we all want to pitch in to help. Besides that, tons of popular movies, cartoons, video games, and books like Harry Potter are full of graphic pictures that can show violence to the nth degree. I bet most kids watch lots of these things all the time. Of course movies and games and books are usually fictional, not real, but kids by the millions love seeing them and don’t become criminals after watching them. The pictures in my books are tame by comparison to the ones you see in our popular entertainment, but maybe they’re unusual as far as nonfiction books go, especially when they’re used in the classroom. I paint them for two reasons. First, I never want to sanitize history and make the past look too perfect or too noble. Second, tomorrow’s leaders have to learn from the past to be able to make themselves a better future. You kids are much smarter than lots of adults think. I believe you can handle this material just fine, exactly like you do in other ways every day. So what happened next? Here’s a brief outtake from a letter written by the kid who asked the question: “I liked the pictures the most because they were so graphic.” Maybe I was worried for naught? Or not?